The freshly updated 2017 Nissan Titan is a new kind of pickup truck. If Nissan isn't one of the brands you think of when shopping for a pickup truck, then think again. This truck is just at home on the highway and around town as it is on a worksite or off-road. Smart and rugged inside and out, the 2017 Nissan Titan is full of surprises. Get just the right trim to fit your needs and customize it with a long list of available accessories from the factory. From all-season floor mats to a rear bumper step, you can make your 2017 Nissan Titan uniquely yours. If you're looking for a 2017 Nissan Titan in Idaho Falls, ID, look no further than Ron Sayer Nissan. We've been proudly serving Idaho Falls and the surrounding community of east Idaho including Ammon, Pocatello, and Rexburg for years. We have a large selection of Nissan vehicles for sale in the Idaho Falls, ID area. Visit our Nissan dealership to give this rugged Nissan truck a test drive and bring it home today! The bold face, smooth lines, and big features of the 2017 Nissan Titan make it an imposing machine. It has a distinct look that doesn't blend in with other pickup trucks on the market. The Titan is bound to turn heads no matter where it treads. The interior of this truck is extremely versatile. 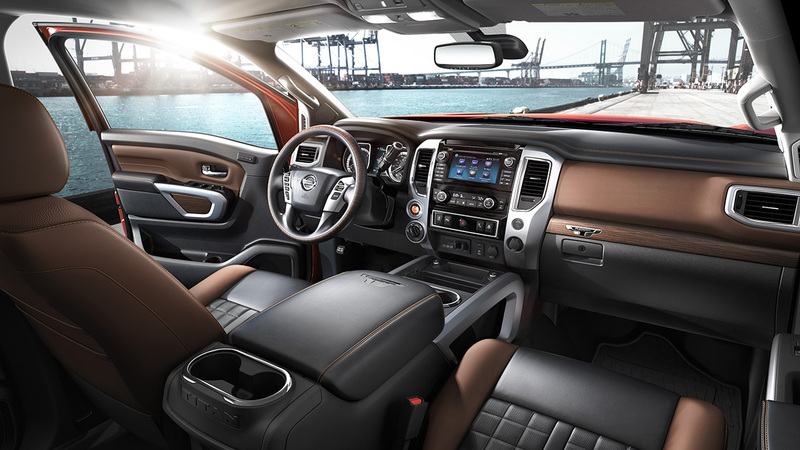 You can get the interior of a well-appointed, high-tech pickup or go all the way up to two-tone leather seats and wood trim or just about anything in between. It's just another way the 2017 Nissan Titan is highly customizable to each individual driver with the pleasure of owning one. Gone are the days of trucks just being power tools that are unpleasant to be in. 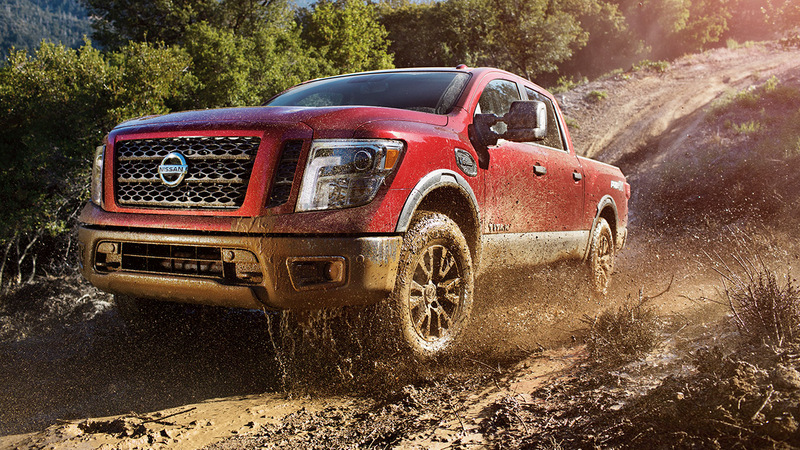 With the 2017 Nissan Titan, you can get the job done and actually enjoy doing it. The powerhouse Endurance® V8 engine that comes in every 2017 Nissan Titan was carefully engineered to maximize power, torque, and towing without compromising fuel economy. With four valves per cylinder, direct injection, and variable valve timing, you get all the power you need when you really need it while sipping gas when the payload is light. The 7-speed automatic transmission also helps maximize both power and efficiency. 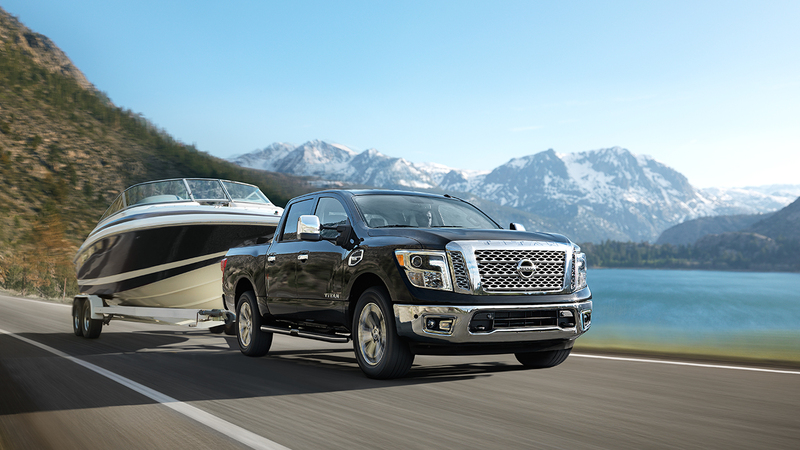 The traditional body-on-frame structure of the 2017 Nissan Titan makes it fearless in hauling and towing heavy loads. On four-wheel drive models, you can switch between two and four-wheel drive by simply turning a knob. Nissan's advanced four-wheel drive system give you the off-road capability you want on the trails or need on the worksite. The 2017 Nissan Titan gets the job done in style and comfort. If you're looking for a 2017 Nissan Titan for sale in Idaho Falls, ID, then come visit Ron Sayer Nissan near Rexburg, ID. Our expert staff can help you find the right new or used vehicle for you. Stop in for a test drive today!